Are interest rates on FHA home loans still competitive? 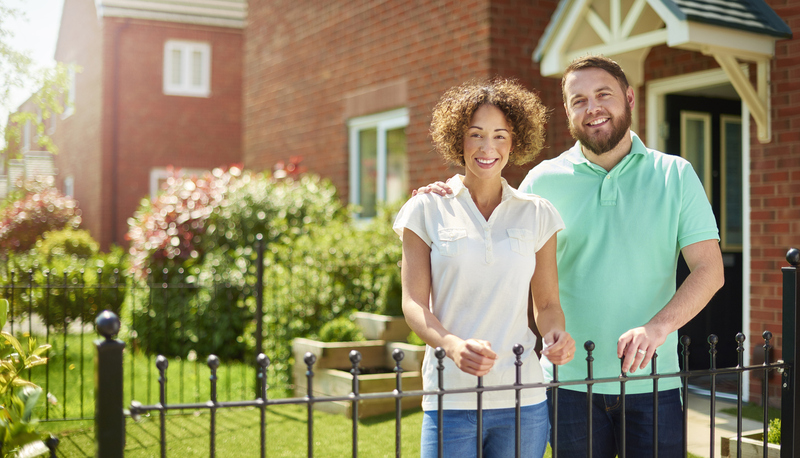 Are first time house buyers still considering FHA loan programs in today’s market? FHA recently released details about the health of its Mutual Mortgage Insurance Fund this week, which revealed enough economic net worth and enough capital reserves. But despite these facts, FHA has still said that FHA is not going to reduce mortgage insurance premiums in the near future. According to the 2018 Annual Report to Congress, FHA stated the MMI Fund had an economic net worth of $34 billion, which is up $8 billion from a year ago. The Federal Housing Administration has been insuring home loans in the United States since 1934. The fact that FHA premiums will not be reduced soon is unfortunate for FHA mortgage seekers. FHA loans have expensive mortgage insurance to make up for the fact that they are giving out loans to people with lower credit scores and down payments. If the home owner does not pay the mortgage, the mortgage insurance company pays off the lender. First time home buyers may not have much for their down payment as they do not have equity from their previous home. This can prevent many people from being able to buy a home, as a typical down payment is 20%. But FHA loans allow much lower down payments. You can get an FHA loan with only a 3.5% down payment in many circumstances. This is much easier for many people to afford their first home. It is a myth that you need to have a larger down payment to buy a home. In fact, if you can get the down payment from a relative, you may be able to buy the home with no down payment at all. Many renters with low credit scores may assume that after the mortgage crash, they will not be able to qualify for a home loan. This is not generally the case. With the FHA program, you may be able to get a FHA mortgage with a 580-credit score. This is a very low score that allows many people to qualify. And you can get a 3.5% down payment in many cases with only that credit score. However, if you have a lower score than that, you will need a 10% down payment. If you want to qualify for a conventional loan, you will generally need to have at least a 620 or 640 credit score. That is why so many Americans turn to FHA loans for their home mortgage needs when they have credit issues. Unlike some programs to help first time borrowers or borrowers with lower credit scores, there is no maximum income to qualify for an FHA loan. You do need to prove that you have the income to pay the loan, but you can make a million dollars a year and still get an FHA loan if you want. This is an advantage to FHA loans that many do not know. If you decide to sell the house, the mortgage can be transferred to the new buyer, if they qualify. This can be a huge benefit in a rising interest rate environment, as we see today in 2018. 30-year fixed rates are nearing 5%. If you got an FHA loan in 2017, you could have a rate well below 4%. This is a big attraction to potential buyers in a rising rate environment. Your debt to income ratio is the amount of debt you have compared to your gross monthly income. The ratios are for both your total mortgage debt and all your debt combined. The usual number is 43% maximum DTI. But FHA will allow you to have a higher DTI in some situations. If you want to get a lower interest rate and have an FHA mortgage, an FHA Streamline Refinance can help you. There is no credit or work/income check, and no current appraisal is required. You can usually refinance into a lower rate with minimal hassle in a few weeks’ time. Those are the major benefits of FHA home loans, regardless of whether mortgage insurance premiums go up or down in the near future. Check the updated FHA loan requirements for 2019. Find out why new home buyers have been choosing FHA loans to finance their home for over 80-years. 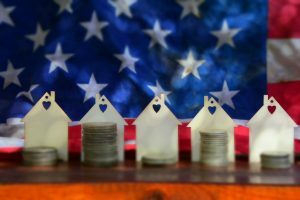 The Federal Housing Administration (FHA) disappointed many people when it announced in late 2017 that it would not make any cuts to its mortgage insurance premiums, after the FHA’s top insurance fund had a weaker than expected performance in FY 2017. So, those who are hoping for a cut to the mortgage insurance premiums on FHA loans should not expect one soon, according to new FHA Commissioner Brian Montgomery. He said in early 2018 that while it was too early to make any sort of commitment, it is unlikely the agency will be able to reduce the premiums this year or next. Montgomery cited a recent FHA actuarial report that provides some insight into the health of FHA’s Mutual Mortgage Insurance Fund. This is the top insurance fund for the agency, and shows why there will be no cuts in the near future. Last year’s report showed the most important figure in the MMI Fund health, which is its capital ratio. It was above the Congressional required threshold of 2%, but it dropped in FY 2017 from its position the year before. Under the Obama administration in 2016, they did announce an MI cut just before he left office. It would have cut premiums for most borrowers by ¼ of a point. The cut was supposed to happen on Jan. 27, 2017, but the Trump administration stated that they were suspending the cut. Throughout last year, there was talk that FHA would make the MI cut based upon the health of the key fund, but the fund’s performance dropped in 2017. FHA loans have their advantages – low down payment, low credit score requirement, for example – but you have to pay two types of mortgage insurance when you use this loan. 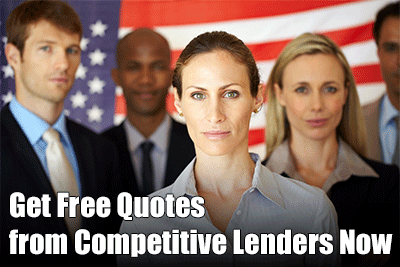 You have an upfront premium that is 1% of your loan amount – $200,000 loan means $2000 upfront. You can role that into the loan, but it increases your monthly payment and interest paid. Next, you have to pay for an annual premium of 1.1% to 1.15% of your loan amount. It is paid each month as part of your premium. It is true that if you get a conventional loan with less than 20% down, you also will need to pay mortgage insurance, but the rates are lower than FHA loans. FHA loans as they stand today have mortgage insurance requirements for the life of the loan, UNLESS you put down at least 10%. Then you can cancel the mortgage insurance but only after 11 years of on time payments. Mortgage insurance with FHA easily can cost a home owner $150 per month or more, and it often cannot be cancelled. Once the health of the FHA flagship fund has increased, it would be smart if the Trump administration would allow homeowners to dump mortgage insurance after they reach 20% equity as with conventional loans. At this time, the only way to get out of FHA mortgage insurance with less than 10% down is to refinance to a conventional mortgage. Let’s face it: FHA mortgage insurance is expensive, and it punishes people with high costs who often can least afford them. People who are buying their first home usually do not have a lot of money; they do not have equity in a current property to bring to the table. The higher insurance premiums make it more difficult for them to afford their mortgage payments. That $100 or $200 per month could be used to save to fix up the house instead of going to insurance that usually will not be used. Most people do not default on their FHA loans, after all. Hopefully, in the coming year, President Trump will consider cutting the mortgage insurance premium and give American home owners and buyers a helping hand.